The Slavin doctrine lives and breathes for the benefit of contractors, subcontractors, and even design professionals! The Slavin doctrine is a widely used defense in Florida by contractors in personal injury disputes where the contractor is being sued by a third party for injuries the third party suffered caused by defects in the contractor’s work. This doctrine emanates from the Florida Supreme Court’s case, Slavin v. Kay, 108 So.2d 462 (Fla. 1959), which stands for the proposition that a contractor’s liability in negligence—the duty of care owed to third parties—terminates if the owner accepts the contractor’s work with patent defects. The Slavin doctrine was recently applied in favor of a traffic signal design subconsultant (subcontractor) hired to design traffic signals at an intersection in McIntosh v. Progressive Design and Engineering, Inc., 2015 WL 71931 (Fla. 2015). The design subconsultant was sued in negligence for a defective traffic signal that caused an accident that killed the plaintiff’s father. The subconsultant argued that the Slavin doctrine applied because a patent defect with the traffic signal was accepted by the Florida Department of Transportation (owner of the project). Although the jury found that the subconsultant was negligent in the design of the traffic signal, the jury held the subconsultant’s liability was terminated because the defect was patent and accepted by the owner. The Slavin doctrine was born of the need to limit a contractor’s liability to third persons….The Slavin doctrine considers the respective liability of an owner and contractor, after the owner has resumed possession of the construction, for injuries to a third person for negligence of the contractor in the construction of the improvement. Under Slavin, the liability of a contractor is cut off [terminated] after the owner has accepted the work performed, if the alleged defect is a patent defect which the owner could have discovered and remedied. The contractor’s work must be fully completed before the owner becomes liable and the contractor is exonerated. The rationale is that [b]y occupying and resuming possession of the work the owner deprives the contractor of all opportunity to rectify his wrong. McIntosh, 2015 WL at *3 (internal quotations and citations omitted). For a contractor to be relieved of liability under the Slavin doctrine, the defect MUST (1) be patent and (2) accepted by the owner of the project. The Slavin doctrine would extend to subconsultants and subcontractors as long as a patent defect in their work was accepted by the owner. A patent defect is a defect that is known or obvious, or a defect reasonably discoverable with the exercise of due diligence / reasonable care. On the other hand, if the defect is a latent defect (a defect not reasonably discoverable with the exercise of due diligence / reasonable care), the Slavin doctrine does not apply. As reflected by the Fourth District in McIntosh, it is up to the jury to determine whether the defect is a patent defect or a latent defect. McIntosh, 2015 WL at *4. Acceptance occurs if the owner accepts the contractor’s work. McIntosh, 2015 WL at *5. “Acceptance is the term applied for shifting the responsibility to correct patent defects to the party in control [of the work].” Id. 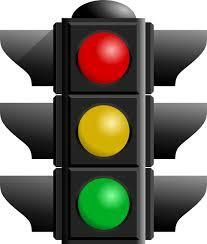 Here, the jury found the defect with the traffic signal was patent and accepted by the owner. Evidence apparently revealed that an employee of the owner discovered the defect before the car accident. Evidence further supported the subconsultant’s position that the owner (Florida Department of Transportation) accepted the defect. The subconsultant’s design was accepted and put out to competitively bid by the owner. At this point, the subconsultant had no control over construction or when the traffic signal would be operational. And, when the accident occurred, the project had just been completed with the traffic signal in operation. In a personal injury case against a construction professional (whether a contractor, subcontractor, design professional, or subconsultant) the Slavin doctrine remains a viable defense. Most courts, as exemplified by this case, will let the jury determine the two fundamental components to the Slavin defense: 1) whether the defect was patent and 2) whether the owner accepted the contractor’s work with the patent defect. In this case, the design subconsultant got the huge benefit of the jury’s verdict, rightfully or wrongfully. This means that design professionals sued in negligence in a personal injury case should rely on the Fourth District’s application of the Slavin doctrine in this case to get this defense determined by a jury. The design professional should always be able to argue the owner accepted the design and put the design out to bid; the owner knew the design was not perfect and accepted patent errors and omissions in the design; the design professional had no control over construction or when construction would be completed such that the project would be operational / utilized by the owner; and the owner accepted the work by allowing the project to be utilized even though it had control to remedy the patent defect. Having an understanding of the statute of limitations when an owner notices a construction defect with their property is essential to ensure that legal actions are timely filed. Not having this appreciation could have a devastating impact. It could result in an owner being legally barred from pursuing an action for debiltating construction defects or damages. This should never be the case. Now, what exactly does all of this mean? To begin with, this means that the statute of limitations for construction disputes commences on the latest of: i) the owner’s possession of the property, ii) the issuance of the certificate of occupancy by the governing building department, iii) the date construction was abandoned if the project was not completed, or iv) the date the contract was terminated (which would also typically be the case if the project was not completed). For a completed construction project, the dates I like to focus on are the temporary and/or permanent certificates of occupancy dates because these signify the dates the owner is entitled to occupy their property in whole or in part. These are also hard dates that can be confirmed through the building department and the closing of the building permit. The owner has four years to initiate a lawsuit from this date. However, when an owner discovers a construction defect or damage to their property (i.e., water intrusion or leak, mold, cracked or spalling stucco, etc. ), it is frequently a discovery that occurs many years AFTER completion and occupancy. When this occurs, the statute of limitations becomes less clear. The discovery of a defect or damage after completion is referred to as latent defect because the defect or damage was not patently visible during construction (or reasonably discovered with the exercise of due diligence prior to the owner’s acceptance and occupancy of the property). In this circumstance, the statute of limitations commences on the date the latent defect was discovered. But, under the law, in no event can the cause of action be pursued more than ten years after the factors referenced above (project completion). This cap on when an action can be filed with respect to a given construction dispute is referred to as the statute of repose. For example, let’s assume a project was completed on December 31, 2010. Many years later, on December 31, 2017, the owner discovers serious latent defects. This discovery starts the running of the statute of limitations. But, the owner would not have four years to sue on these latent defects because if he waited the four years until December 31, 2021, his suit would be barred by the statute of repose, which would cap suits relating to the project ten years from completion on December 31, 2020. Understanding when the statute of limitations would commence and when actions would be barred under the law is important and, many times, factually complicated. Recently, the Third District Court of Appeal in Hochberg v. Thomas Carter Painting, Inc., 36 Fla. L. Weekly D1200f (3d DCA 2011), analyzed the running of the statute of limitations in a construction dispute. In this case, owners hired a contractor to build their beautiful new home. After the home was completed in 2003 and the owners moved in, they discovered mold and water intrusion damage. The owners immediately hired an engineer to analyze their discovery and the root of the defects. The expert produced a preliminary report in 2004 addressing the cause of the defects. In 2008, the owners sued the subcontractors responsible for the defects for negligence and violation of Florida’s building code. Subcontractors argued that the owners filed their lawsuit outside of the statute of limitations because they discovered the defects in 2003 but waited until 2008 to file their lawsuit. 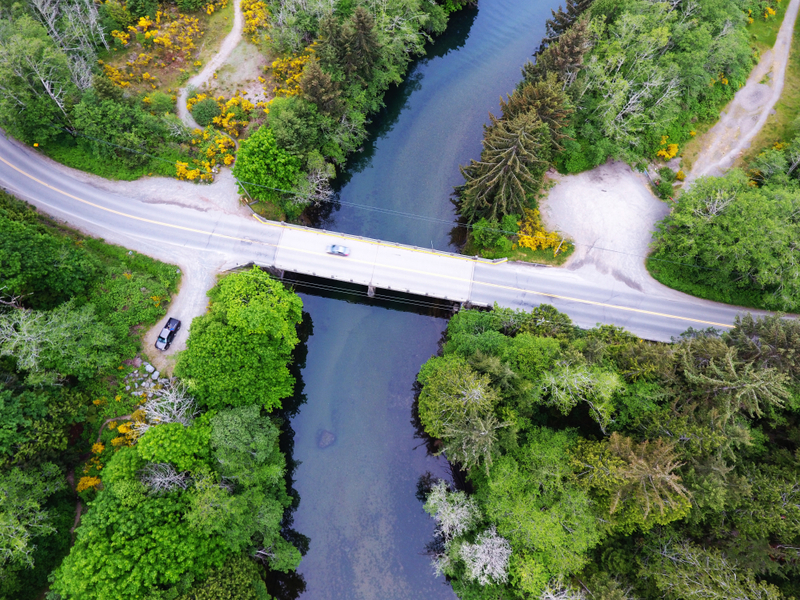 The owners argued that the statute of limitations should be tolled until they discovered the exact nature of the defects or magnitude of the underlying problem and which trade subcontractors the defects could be attributed to. The appellate court held that, “Florida law is clear that ‘where there is an obvious manifestation of a defect, notice will be inferred at the time of manifestation [discovery] regardless of whether the plaintiff has knowledge of the exact nature of the defect.’” Hochberg quoting Performing Arts Center Auth. v. Clark Constr. Grp., Inc., 789 So.2d 392, 394 (Fla. 4th DCA 2001). In other words, even though the owners did not understand the magnitude of the defects or what specifically was causing the water intrusion into their home, the court maintained that their initial discovery of water intrusion and related damage (i.e, mold, wet carpeting) triggered the commencement of the statute of limitations. This holding is important because when an owner discovers construction defects and damage, they do not discover or appreciate the magnitude of the discovery. For instance, an owner may discover wet interior finishes, smell or discover mold, discover cracks in their exterior finishes, or a roof leak, but will not typically know the specific defects causing these problems. They also typically will not have an appreciation as to the overall significance of the problem. Owners hire expert consultants to analyze these issues to not only determine the root and significance of the problem, but the method to fix the problems. The owners in this case tried to cleverly argue that the statute of limitations for latent defects should be tolled until an owner discovers the precise nature and cause of the defects, which would often correspond with the date the owners receive an opinion from their expert consultants. However, the court focused on the actual discovery of the defects or damage by the owners, rather than when the owner learned the magnitude of the problem. 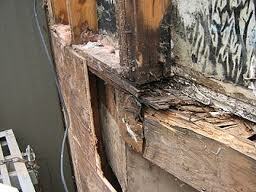 Owners that discover a defect or damage with their home or property should absolutely not ignore the problem. Ignoring the problem could only exacerbate the underlying problems while potentially putting the owner in a situation where he is outside of the statute of limitations or repose and can no longer pursue an action against the parties responsible for the problems. Again, this should never be the case.